Was time to cook.. Yay!! Thanks to the blue dragon family.. I wanted fresh beansprouts yet it appears that the store near us has decided that now it is autumn that people don’t want to eat fresh beansprouts? Humph!! Go figure!! So canned beansprouts.. They need a good draining in the sieve with reverse osmosis water.. As does the can of bamboo shoots.. 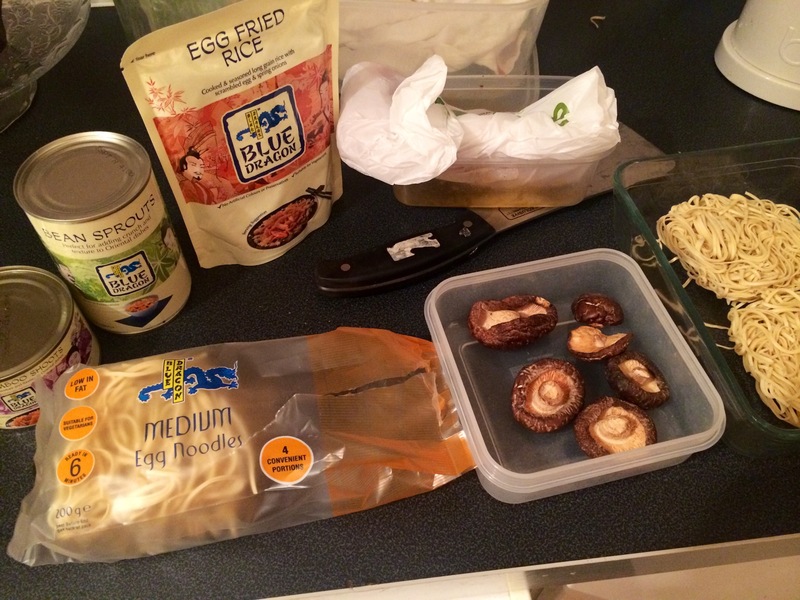 The dried mushrooms rehydrated with kettle hot water.. And the noodles hydrated too.. I tried out these one clove garlic thingies.. You end up with lots of garlic! Ginger peeled and chopped.. We keep this in the freezer .. It makes it very handy ..
Lovely sweet white onion.. 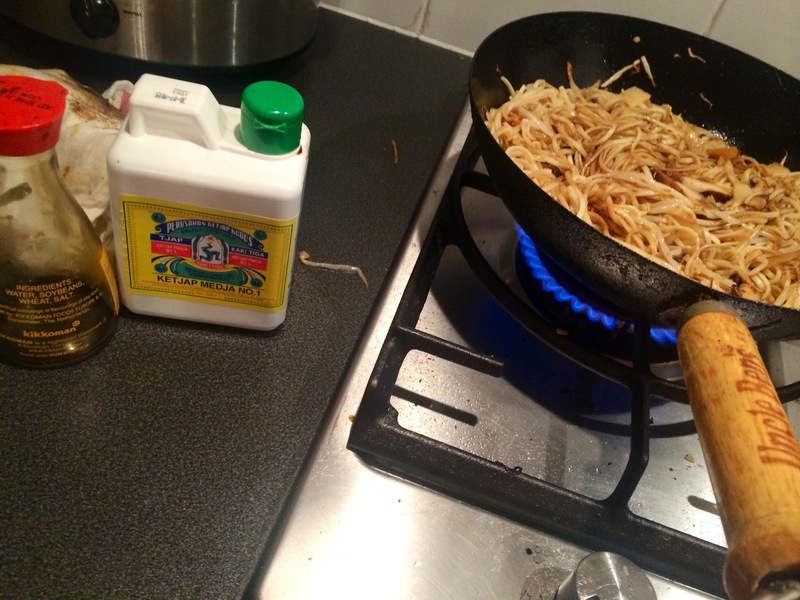 Sliced..
All into the uncle bens wok with sunflower oil. .. High heat.. You know the drill.. Then beansprouts added.. Then the noodles.. A huge dash of kikoman soy.. And also that delicious ketjap manjis stuff.. High heat and tossed about.. 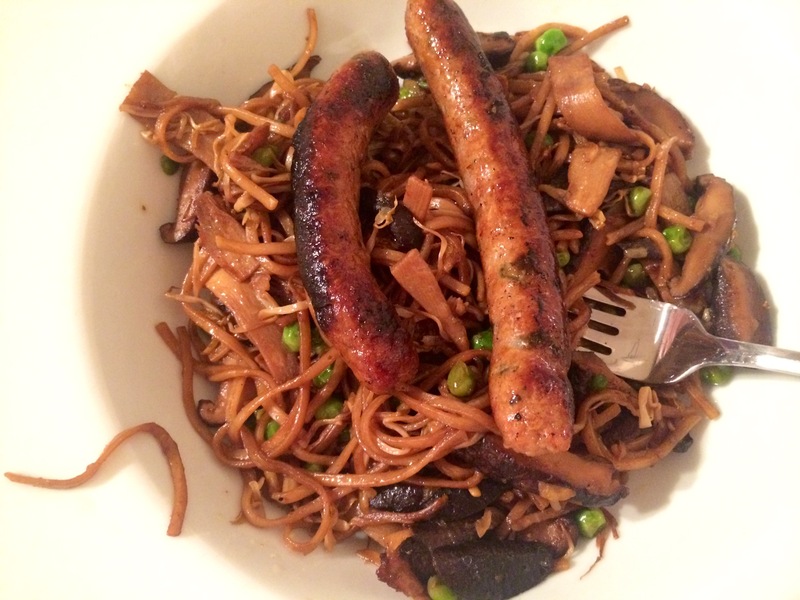 Frozen peas in at the end..
Then all into the bowl..
ummm I made them myself..
Sausages and chow mein.Wow!! That’s new to me. I keep chopped ginger and garlic in the freezer too. Whoa, what a combo! Love it! As this week’s host, perusing over the post titles I already knew that the post with the words “chow mein” and “sausage” in the same sentence was by you. We are all most glad that you are returned home to cook for us! Have a wonderful weekend! And you .. Have been telling evwryone that would lusten about the pie winning!! My butcher was very intrigued!! Yup.. Dunno what it is about that city .. I try yet the people i work with usually end up trying to impress by ‘hot spots’ .. Normaly very cool places with no good food! 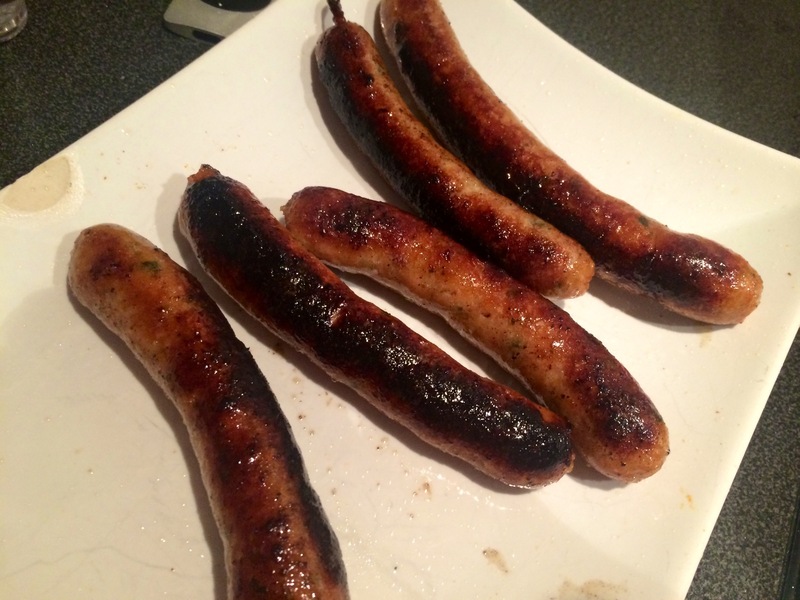 Those sausages look amazing! Great dish! 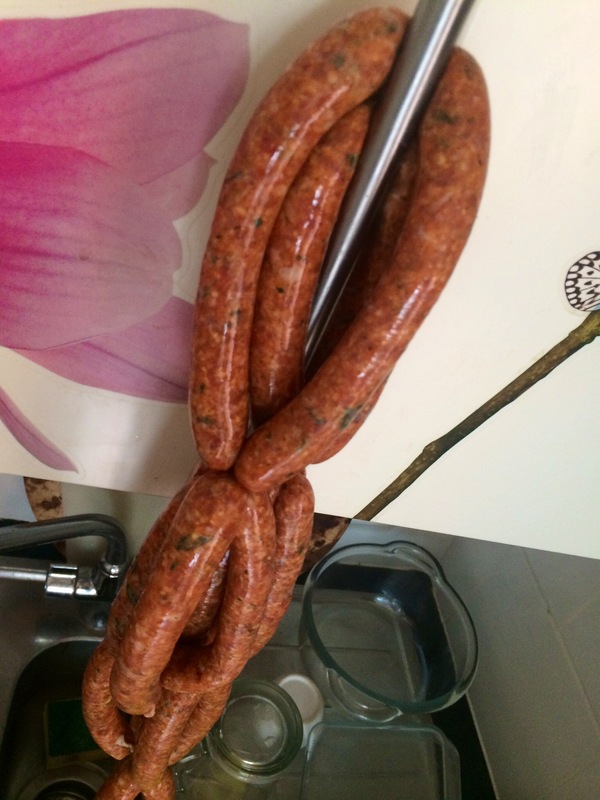 Thank you.. so easy to make great sausages!! Once you try there is no turning back! Where can I find your rough puff recipe?